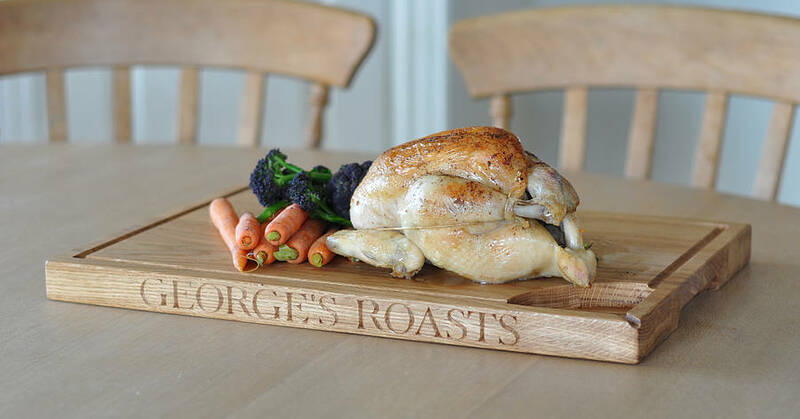 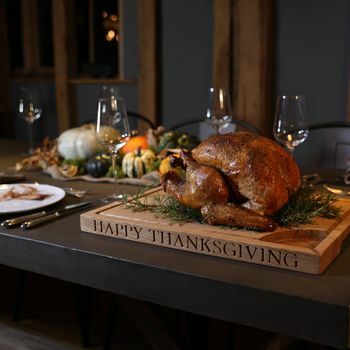 A beautiful personalised hand engraved oak carving board with specially designed grooves and a well/gully in the corner to collect excess meat juice. 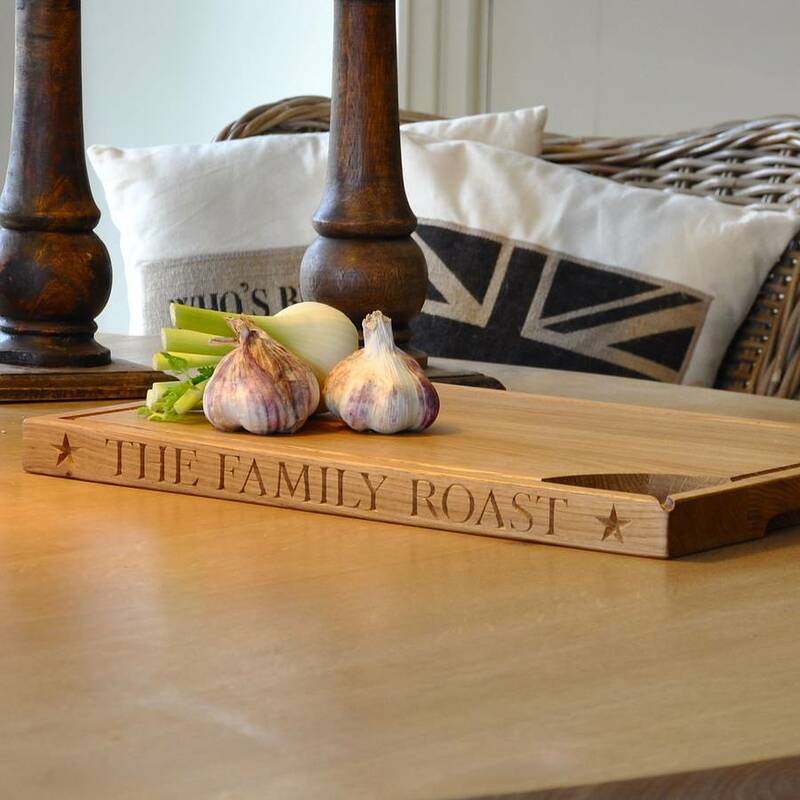 This is a perfect gift for any home owner, it is hugely practical and contemporary yet still has a traditional twist to it. 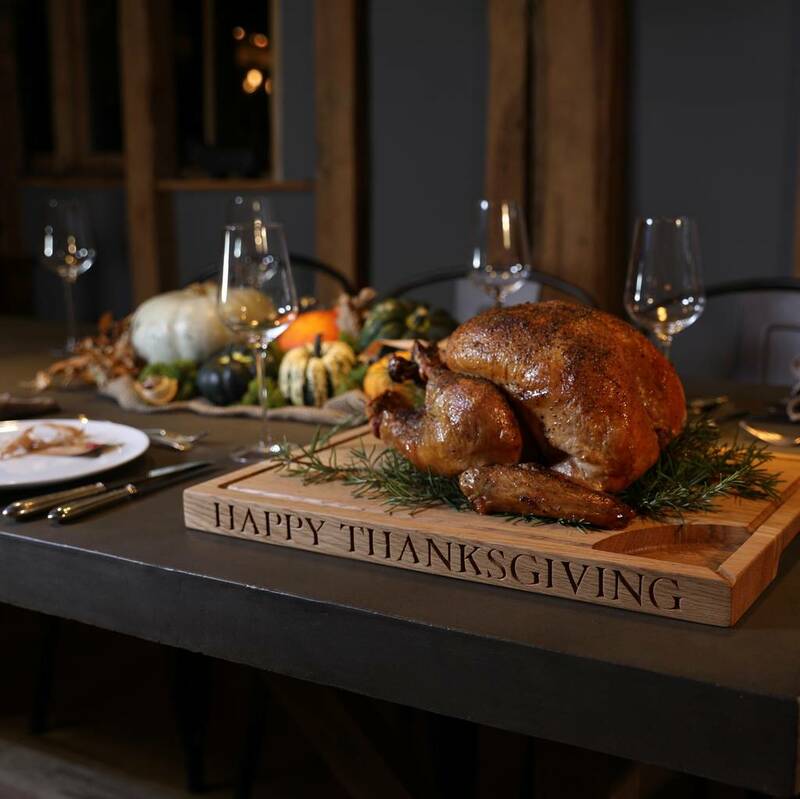 It is a stunning centrepiece for the family table and will be much admired, particularly with the stunning hand carved personal engraving. 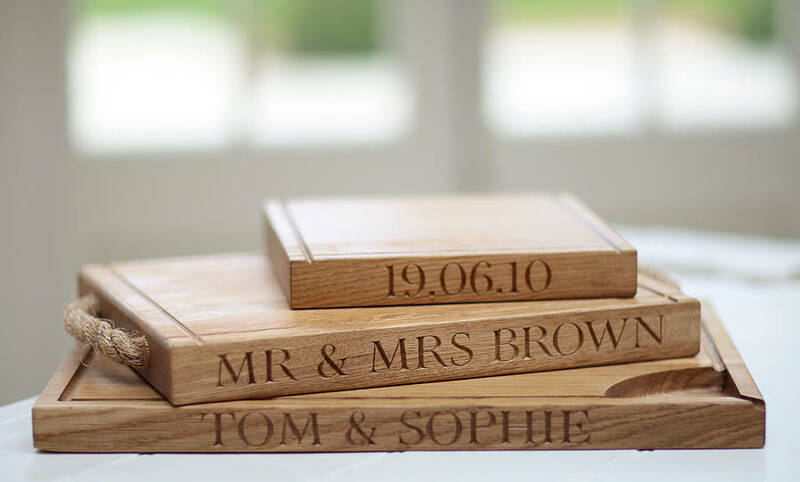 An instant heirloom we feel. 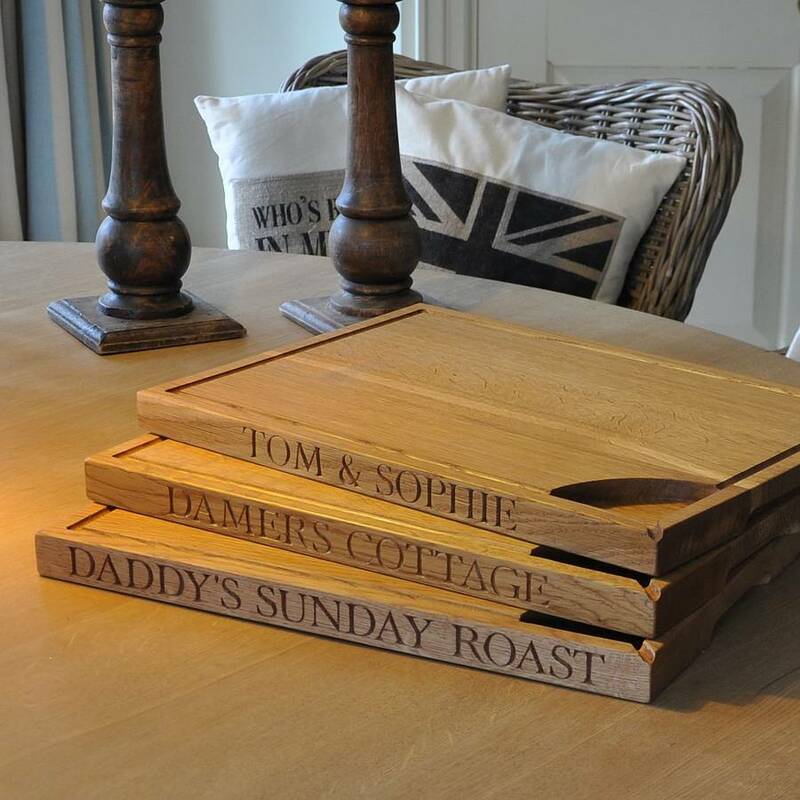 A great Christmas, birthday or new home gift ...... or just a sensible 'must have' purchase for yourself! 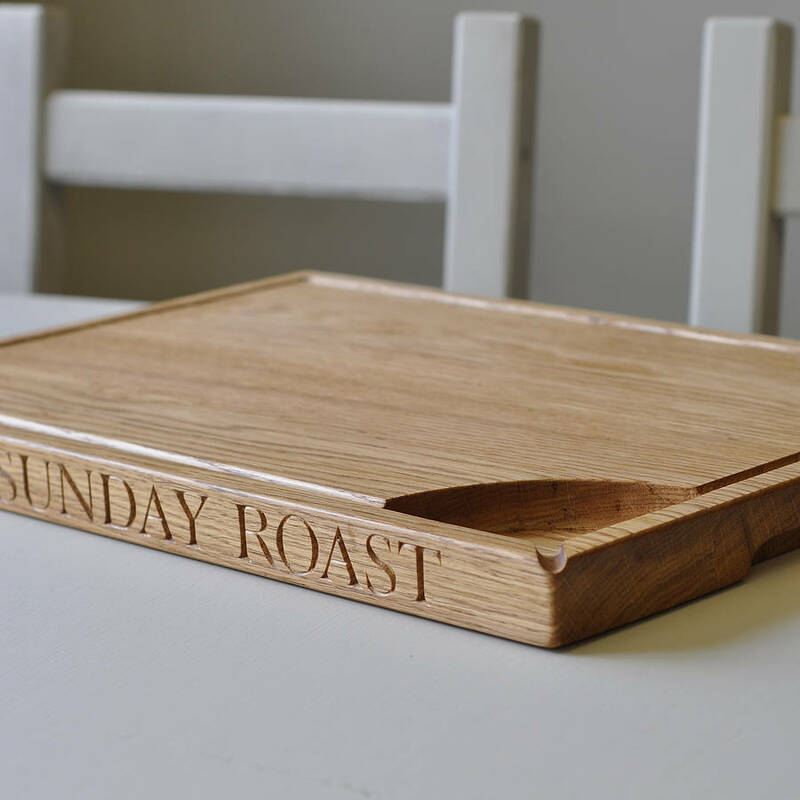 This is a very personal piece so we take direction from you; we can carve up to 22 characters/spaces on each of the two lengths of the board. 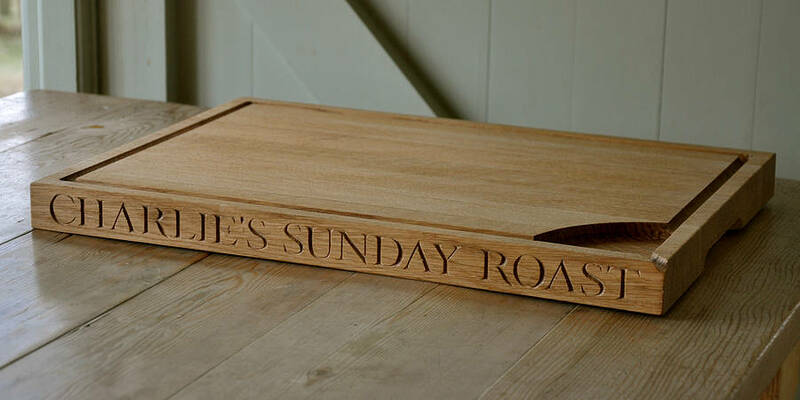 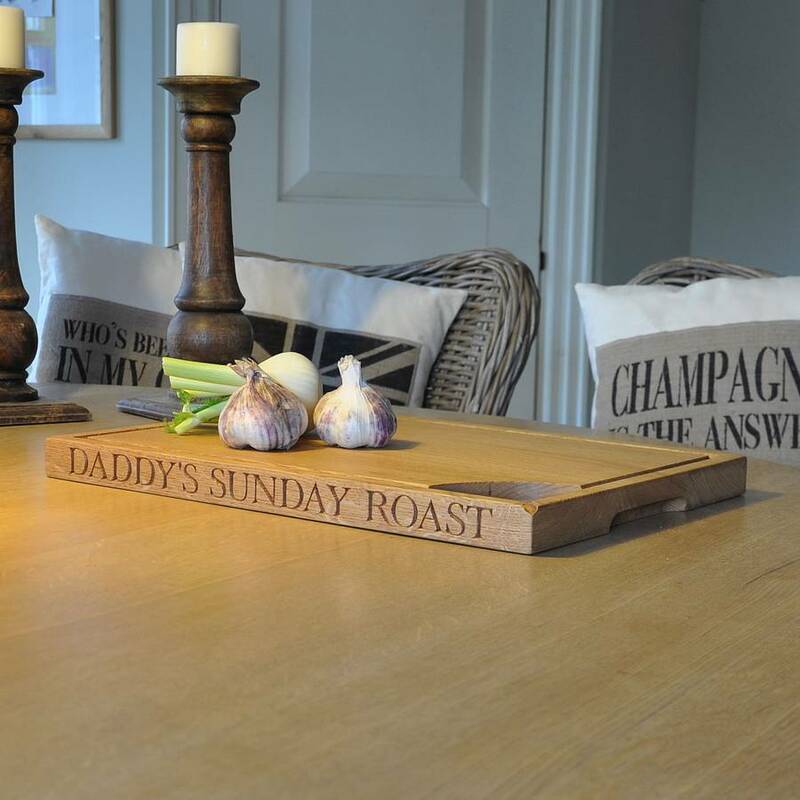 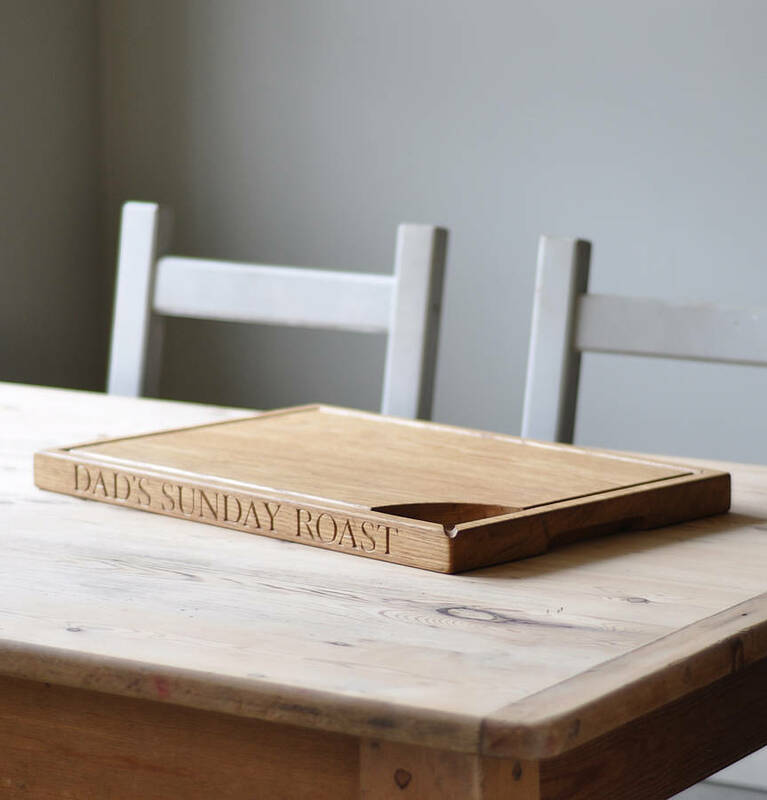 Some carving ideas include: WEDDING NAMES/DATE, BIRTHDAYS, DADDY'S THE BEST, MUMMY'S YUMMY ROAST, MARK'S BUTCHERING, HOUSE NAME, but the most popular is DAD'S SUNDAY ROAST or THE BROWN'S SUNDAY ROAST. 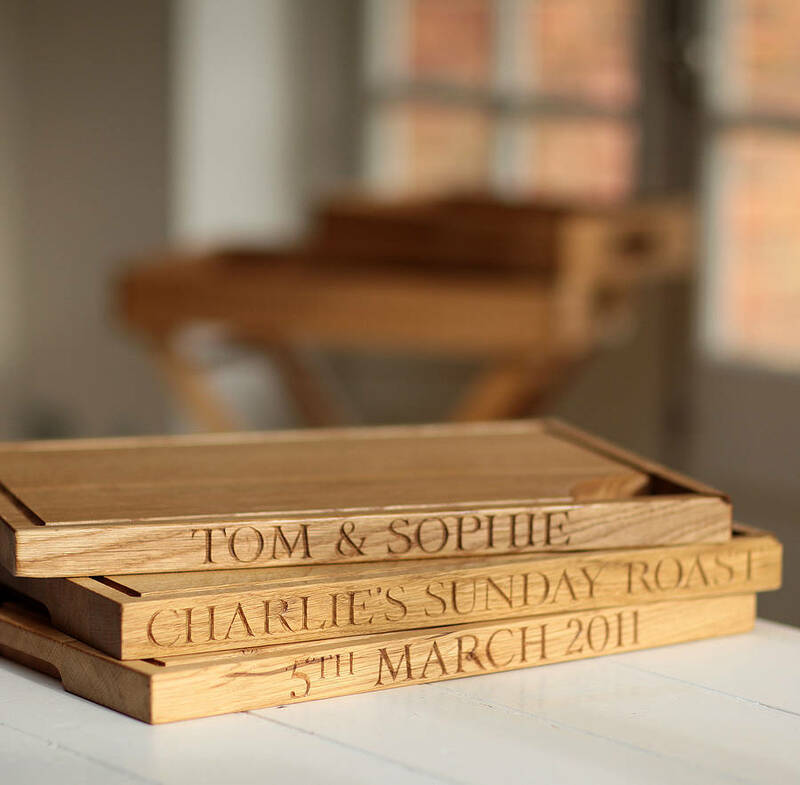 Hand made and hand carved in our Kent workshop.